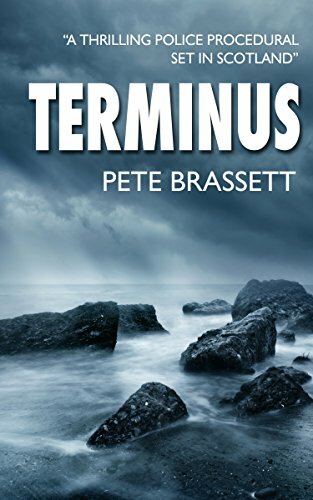 I was happy to find a new release in Pete Brassett’s DI Munro series. I found Perdition amusing and entertaining, as its predecessors have been. Detective Inspector Munro, a rural Scottish policeman, is slightly hampered this time out by the fact that his long-impending retirement has finally come to pass. However, he finds retirement boring in the extreme, and soon begins meddling – unofficially – in a current investigation by his team. An investment bank employee is found dead in his car, killed by a powerful painkiller. Eventually they learn that the man was involved in loan sharking, but not before another man is found dead from the same cause, and one more nearly beaten to death. Also, someone kills a goat with a crossbow. The whole thing is fairly complex, with intertwining and backtracking trails and plenty of red herrings. Throughout the investigation DI Munro, as unobtrusively as possible, attempts to guide his successor, “Charlie” West, a female detective he’s been mentoring for some years now. Munro is a charming character, self-possessed, opinionated, and mildly curmudgeonly. Lots of fun. There’s a minimum of violence and bad language. Some opinions were expressed that I don’t agree with, but I really have no serious cautions to deliver about Perdition. 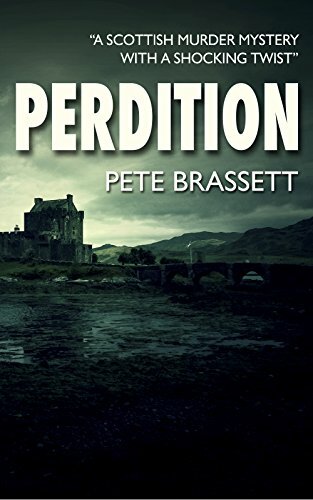 Pete Brassett’s Inspector Munro series of police procedurals, set in Scotland, are in some ways hard to tell apart from other similar series I’ve been following, set in other parts of the British Isles. But this series manages to distinguish itself in some ways from the others. That’s partly because Munro is just a bit less curmudgeonly than other aging fictional detectives (he shows genuine concern for his colleagues, and often picks up the check in pubs), and partly because his (almost obligatory) female sidekick is an alcoholic who could crash her career at any moment. At the beginning of Terminus, we find DI Munro in the hospital (or “in hospital,” as they say over there), after being hit while walking by a hit-and-run driver. He refuses, of course, to obey doctor’s orders, and escapes without being formally released. All indications are that the hit-and-run was intentional, related to a drug case Munro worked on earlier. The drug kingpin (a Norwegian!) has disappeared and is thought dead. But is he? Meanwhile, in a seemingly unrelated matter, the team learns that a shady lawyer has been falsifying the wills of elderly people, to his own profit. Before they finish kicking over rocks, some very surprising beasties will come scuttling into the light. And the whole thing culminates in a shocking (if slightly improbable) confrontation. Good fun, and I didn’t notice any unacceptable language. Recommended.